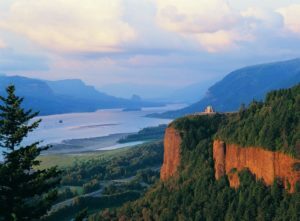 Trailkeepers of Oregon (TKO) is hiring a Crew Leader for the Columbia River Gorge Trail, rehabilitating trails after fire damage at Eagle Creek. This is a 1 year position, $160/week, $650 for travel, bunk housing provided, and AmeriCorps education award eligible. Start date is ASAP. Gulf Workforce Board is Hiring Crew Leaders in Houston ASAP! Workforce Board is hiring for two Houston-area Crew Leaders. The Student Conservation Association and Workforce Solutions is partnering with Houston Parks and Recreation to provide a youth conservation crew to establish an edible trail in Clinton Park during the Summer of 2018! Lead an SCA Conservation Crew with youth community members while completing various service projects designed to build an ethic of community and environmental stewardship and giving experience in and exposure to the youth in careers in conservation. Crews consist of two SCA Leaders and twelve Crew members. Priority Focus: Clinton Park is situated in a food desert outside of the 610 loop in eastern Houston in a predominantly urban neighborhood. The green space will be planted with native edible trees, shrubs, and vines and will serve as a “green hub” and eventual orchard and lath house to hold native prairie plants, a tree farm, and future community garden. To apply: Email Marsha Towns with your resume and interest! Maine Appalachian Trial Club is Hiring! Put your passion for the Appalachian Trail to work! Apply for summer trail crew jobs in Maine and make friendships that will last a lifetime. Passionate about the outdoors? Do your best thinking from a mountain summit? Teach and lead a volunteer a trail crew doing trail reconstruction work on the Appalachian Trail at remote sites on the mountains of Maine. Projects include building stone steps, waterbars and retaining walls and as well as new trail. Activities focus on quality trail building, teamwork and learning opportunities for volunteers. Advanced training with stone cutting, stone work, Griphoist rigging systems and other trail work will be presented as well as training with first aid and leadership techniques. Sorry, no pets are allowed. Housing is on an island in Branns Mill Pond, Dover Foxcroft, Maine. Dates: May 19 – August 25, 2018. Work includes weekends. Applications accepted until the positions are filled, preference for to those received by March 31, 2018. Southwest Boston Community Development Corporation is Hiring! SWBCDC’s Green Team is a youth jobs and environmental stewardship program which employs Hyde Park youth ages 15-18 to restore Hyde Park’s urban wilds, clean and beautify the business district and educate and engage residents in these efforts. Youth receive job readiness training and environmental education through workshops and field trips. They develop job readiness skills such as proper workplace conduct, team work and conflict resolution. They gain landscaping and trail-building skills; youth leadership and civic engagement skills; and knowledge of local ecology. The Team travels between work sites by bicycle, learning about road safety and basic bicycle maintenance. To learn more about the Green Team please visit our website: www.swbcdc.org. Learn more about the position here. Please send resume and cover letter via email or mail to: Patricia Alvarez, SWBCDC Assistant Director, [email protected]; 11 Fairmount Ave. Suite 101, Hyde Park, MA 02136; 617-364-7300 (o), 617-990-4498 (c). Southwest Boston CDC is an equal opportunity employer. 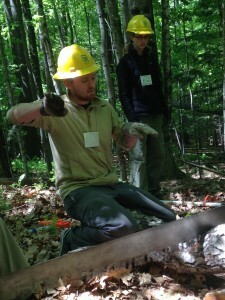 Become a Conservation Work Skills Instructor! SCA i s gearing up for another big training season and is currently recruiting qualified Conservation Work Skills Instructor apprentices! Apprenticeships are an important part of the SCA Conservation Work Skills history. Serving as an apprentice allows SCA staff to become more familiar with you and the specific skill sets you bring to the SCA Conservation Work Skills program. and partners. The success of this depends on recruiting high quality instructors. 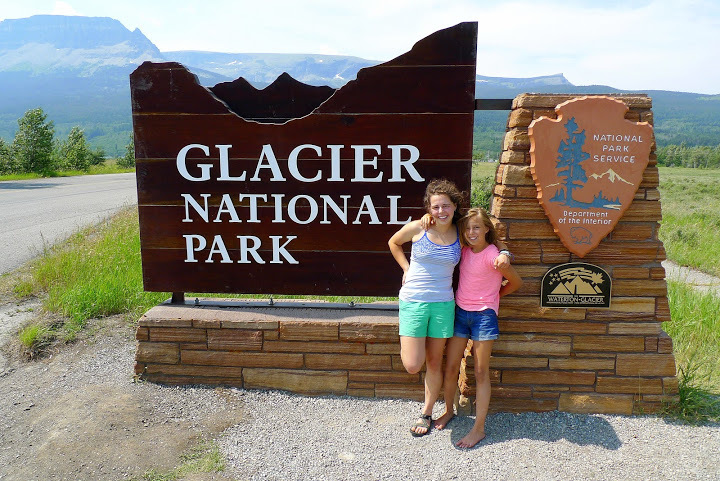 By joining this process you are stepping into the conservation lineage of our nation’s public lands. Community Crew Leader Training In Chicago! Over 50 Central region Community Crew Leaders completed their week-long orientation at Chicago State University in South Chicago. Thank you to all of our CL’s for your excitement and enthusiasm! National Crew Leader Training is Underway! Last week at National Crew Leader training our returning leaders had the opportunity to present and lead modules. Pictured below are Brice Smith and Scott Milliman teaching crosscut saw techniques. We want to send a great big THANK YOU to all of our returning leaders for helping out! Want to get psyched for this years trail season? Check out this “Story Map” created by 2014 National Crew alum Signe Lynch. Training doesn’t end when we head into the field each spring. It’s up to every one of us to continue our own professional development and to learn new skills that can be applied to being a successful outdoor leader. With help from the ETE (Education, Training, and Evaluation) department, we will continue to post informative articles and technical tips that will provide ways to expand your skills and knowledge. Find an archive of Tech Tips to come on our “Professional and Skills Development” tab in “The Sump” drop down menu. Please feel free to send your own Tech Tips submissions to Josiah Downey and we can get them posted for all to see! 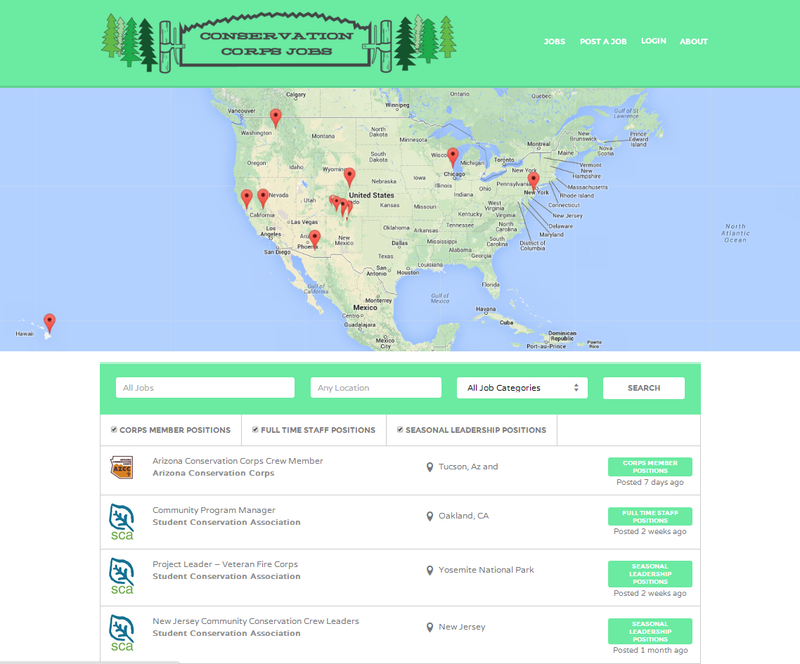 Find Jobs at Conservation Corps Across the Country! 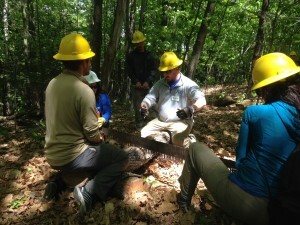 ConservationCorpsJobs.com is a one stop shop for Corps job postings for conservation corps from across the country. Use the interactive job map to pin point jobs you want to apply for. Everything form member positions all the way up to CEO. Check it out and like it on Facebook for job posting notifications.